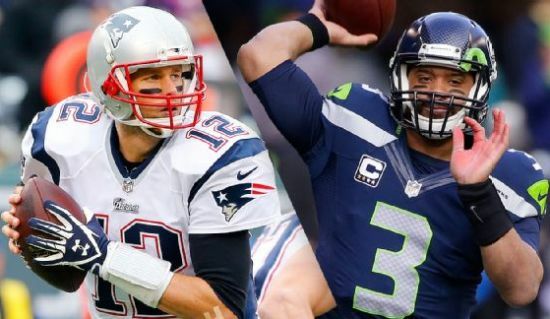 The curtain will close on another NFL season on Sunday night in Arizona when the final whistle sounds to end Super Bowl XLIX between the New England Patriots and Seattle Seahawks. The Patriots routed the Indianapolis Colts 45-7 to win the AFC Conference Championship, while Seattle needed a rally and overtime to win the NFC Conference Championship over Green Bay 28-22. The Patriots have not played Seattle since October of 2012 when Seattle rallied from a deficit of 13 points to win 24-23 as a home dog of 4 points. Both teams have gone to the ground attack over the last few weeks, and both will attempt to control the game’s tempo and clock. Teams that win the battle of time of possession in Super Bowls have an outstanding record of 35-13 straight up and 34-11-3 against the spread. Teams that are able to rush for the most yards in the game are 37-11 straight up and 34-11-3 against the spread. New England is 10-1 ATS versus offenses that gain 375 or more yards per game over the last three seasons. The Patriots are also 26-9 ATS when gaining 175 or more yards rushing in the previous game since 1993. Seattle is 9-1 ATS after they have gained 6 yards or more per play in two straight games over the last three seasons. Seattle is also 13-4 ATS following a home win the last two seasons. The Seahawks are 14-3 ATS against defenses that allow 235 or more passing yards a game during the second half of a season, under Pete Carroll. Bryan Stork the starting center for New England could miss the game due to a knee, while Justin Britt at OT and Jeron Johnson at safety are questionable. Seattle’s Earl Thomas at safety and Richard Sherman at cornerback are probable. The offense for New England is averaging 40 points per game in its two postseason games. 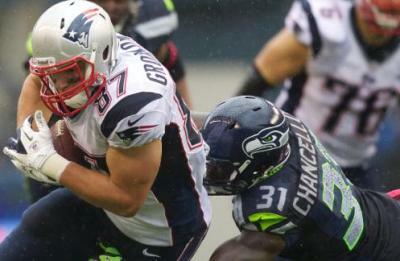 Tom Brady has 6 touchdown passes and 2 interceptions in the two games for New England. Russell Wilson guided Seattle to an amazing win in the postseason against Green Bay. He had four picks on that game, but rushed for a touchdown and threw the game winning pass for a touchdown during overtime. Marshawn Lynch will be featured as much or more rushing for Seattle against the Patriots defense. On defense, the secondary for Seattle has a number of injuries, but are tough, with speed and size, which will make it tough for Brady. The game should be close, high scoring with a late score determining the winner of this year’s Vince Lombardi Trophy.